Across the nation it is becoming more and more difficult to recruit classroom teachers. It is not that we are lacking in young folks with special ideology for making a difference in the lives of children and adolescents, it is just that the job is exceeding tough with ever-increasing expectations plus the salary is generally quite low when compared with other professional opportunities with equal education. In addition, no matter how hard a teacher works and applies him/herself, kids are the variables - some get it; some don't; sadly, some won't. But having taught students, future teachers, and new hires for over 45 years, I can tell you that it is fun, exciting, and rewarding job, coupled with bits or worry and frustration. No other profession keeps you young through the insight of kids or on top of understanding and thinking of young minds. It is fascinating, awesome, and gratifying. Because it is hard to find teachers in most locales, alternatives have been implemented. This includes alternative licensure, teaching full time while earning a degree, hiring long-term substitute teachers, team and co-teaching, recalling retired teachers to service, and many more clever methods. These choices have been effective overall, especially when a well-organized mentoring program is also instituted. Instead of a new teacher being handed keys and a grade book, s/he also receives a hands-on, committed guide and coach to help establish a successful first year of instruction (and the many to follow). The mentor must be wise, well-versed, attentive, and strong with experience in teaching and leading. So what characteristics constitute the ideal new teacher? Being porous and permeable. Now you may be wondering why porous and permeable are prime traits. In my years as a mentor/coach, these two ingredients indicate a new professional who is ready to learn, try, listen, revise, readjust, realign, and bring understanding and achievement to all students. Porousness allows for absorbing new ideas, techniques, and methods while permeability permits the spongy intake of concepts, designs, and new ways of thinking, explaining, and applying knowledge. Teachers with these skills are easy to work with as they take every suggestion and build it into their repertoire of teaching practice and manipulate it to meet the needs of their particular students. Remember the part about students being the variable? Since no student learns or thinks in exactly the same way at the same time about the same thing, a teacher requires an incredible supply of talents to modify lessons in numerous ways. It is part of the thrill as well as part of the challenge of the classroom. When I have had new teachers fresh from college or veterans who have moved to my district who are included in our introduction courses, the porous/permeable types soar. The disenfranchised, solidified, non-porous/impermeable sort does not. The latter category includes those who already know everything about everything and refuse to listen to any ideas or items presented. Their old way is the "best" way and deafness invades their ears and brains. It also is comprised of those who know everything about everything even though they have spent little or no time in a classroom. For this last group, mentoring and coaching are an impossibly impossible task. You can lead a teacher to knowledge, but s/he may refuse to absorb a lick! If you are considering becoming a classroom instructor, give yourself the porous/permeable test. Are you malleable? Smart enough to admit that you do not know everything (yet, if ever)? Brave enough to work with young folks as you bring knowledge and understanding in 99 different ways? Willing to listen, try, read, and learn every day? Work from early morning until late at night and many weekends with fretting on the side? If you can answer yes, schools and kids need you! 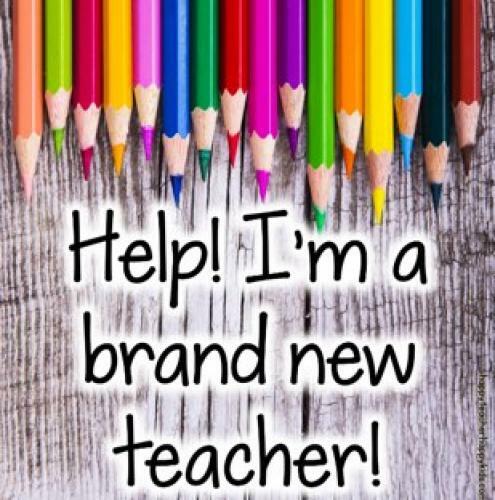 Make the professional change today by contacting your school district, college or university that offer teaching credentials, your State Department of Education, and your favorite teacher of all time. A fulfilling and satisfying career awaits you.